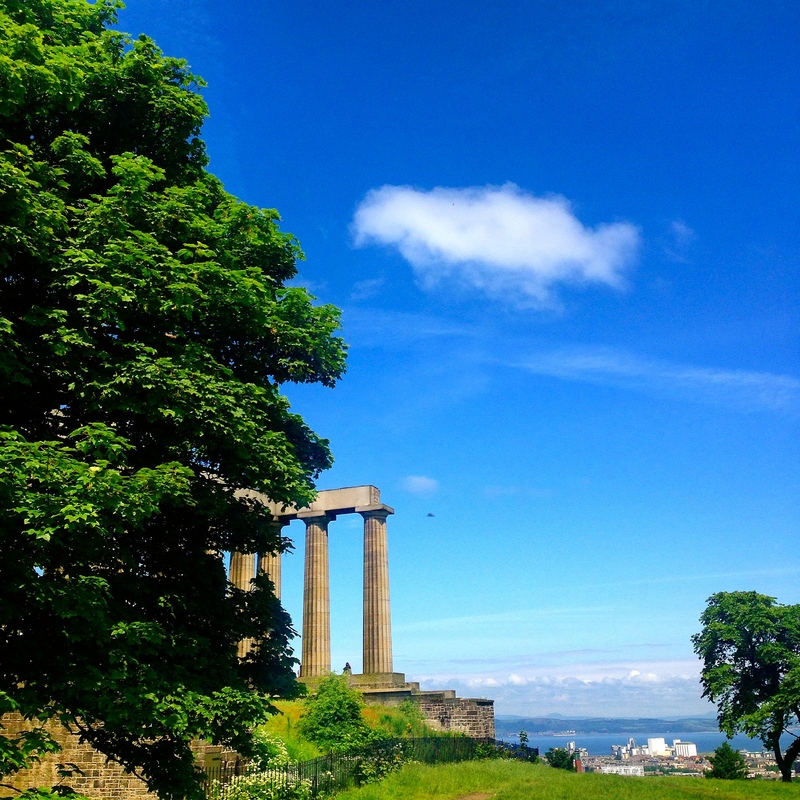 View of the National Monument on top of Calton Hill. Yes, I made it eventually. I watched the little ants move slowly across the green mound outside my window, trying to ignore the small voice in my head telling me to quit being lazy and go be a little ant too, even though I specifically planned to hole myself up in my hotel room for the entire 36 hours, squeezing every last drop out of the precious Marriott points it cost me. I had six more full days to explore Edinburgh. Calton Hill could wait. Besides, those little ants were getting wet. A lot of people suffer from FOMO (Fear Of Missing Out). They always want to be where the action is, where the fun is happening. I suffer more from FONDE (Fear Of Not Doing Enough) and FOBPAL (Fear Of Being Perceived As Lazy). I have been living on someone else’s turf for the past three months, gingerly trying to find my place in their world, and it’s more exhausting than I thought it would be, though admittedly the exhaustion is totally on me. Every time I got “caught” reading, eating, napping, I felt like I should be working, even if I’d already done all of my work for the day, and especially if the host family was out working. They are doing work…should I be doing work? I blame these fears on my first real high school job as a waitress at a little pizza joint. You learned very quickly to always appear busy, or you would be yelled at, then sent to do some nasty job. We weren’t getting paid to stand there. Though with waitresses wages, I sort of beg to differ, though I wasn’t begging to differ anything back then. My arms just automatically moved in table-cleaning circles as soon as I walked in the door and didn’t stop until my shift ended. Maybe it also explains the need to articulate why I was staying holed up in my hotel room to the girl who checked me in, as if she cared or was keeping tabs on how many times I exited my room and what I did with my day. And why I felt the need to get out of my pajamas and freshen up with a little makeup, which I haven’t worn in three months, in fear the room service delivery person would peg me as a sloth about to stuff my face, making the transformation into a gluttonous sloth. And why those little ants of people who couldn’t even see me, taunted me with guilt, full of silent accusations. I’ve slept in hotel beds practically more nights than my own for almost a decade, never really taking advantage of hotel “amenities,” never wanting to waste the free offerings because I didn’t really need them, and here was my chance. After all, the point of getting this hotel was to take a total break from everything. So I hid the stunning view of Calton Hill and the ambitious ants behind the thick curtains, and went for it. I drank all the tea and all the espresso. I used the little shampoo and caught the housekeeper to get more to fill my own container. I drank the free sparkling water. I ordered room service. Twice. I lay in bed to catch up on my correspondence (I’ve always wanted to say that), which just consisted of FaceTiming Lindsey and her new baby, Winifred (I prefer Freddie). And then I committed the cardinal sin of hotel stays and raided the minibar. Time passed, I opened the curtains wide and enjoyed that same view of Calton Hill, laughing at all the wet ants. 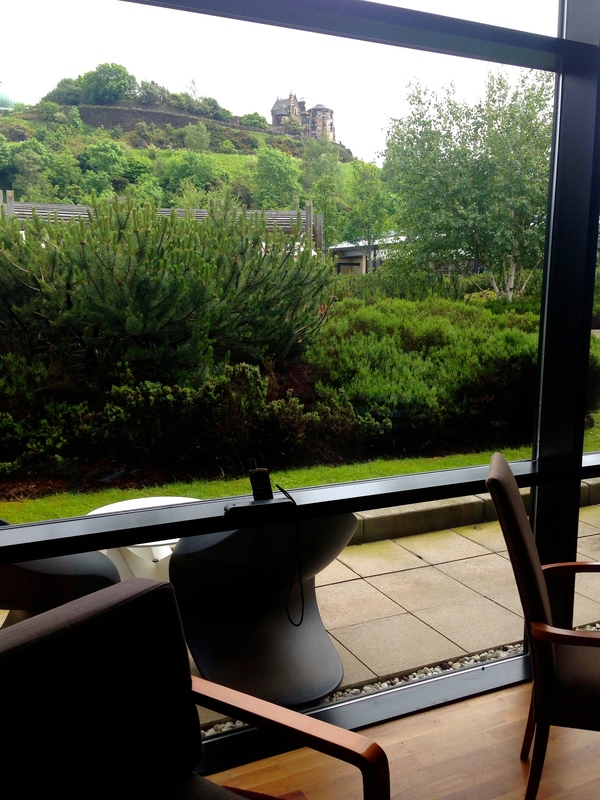 View of Calton Hill from the lounge area of my room at the Glasshouse. Fancy, I know. I’m sure your dogs and Curly would approve of you living like a carefree millionaire for a moment…where to next? I’ve decided I’m NEVER leaving Edinburgh. Can’t blame you for that Darlin’, at least you’ll wind up with a really cool accent.